The city of Washington is the Independent, well develop, popular and the capital of US. It covers 68.34 square miles 177.0 km2 with 6,131,977 population. It is the sixth largest Metropolitan city with 5-6 million population. Many of the Monuments in Washington DC open late at night. The city is well-known for its monuments which dedicate peace for the leaders of America and war heroes who fought in the war. Around 20 million tourist visit monuments and museums every year to take photos and see these unique and memorial place. These Monuments in Washington DC. It is the Best Places to visit in the city. Now, we will take a brief and interesting tour on some of the famous historical monuments in Washington Dc. here is the list of monuments in Washington DC. It was devoted to the president of US in 1922 (Abraham Lincoln) who fought for the protection of the nation during the civil war from 1861 to 1865. This landmark is located on the National Mall in Washington DC. The statue is 19 feet high and its weight is 174 tons. It is one of the prominent landmarks of US which indicates the symbol of “Liberty and Freedom”. It is the most visited statues in the City by tourist. For visiting this is the best monuments in the Washington DC. This landmark has the appearance of the temple. Abraham was the popular president of the US. It was designed by Henry Bacon. 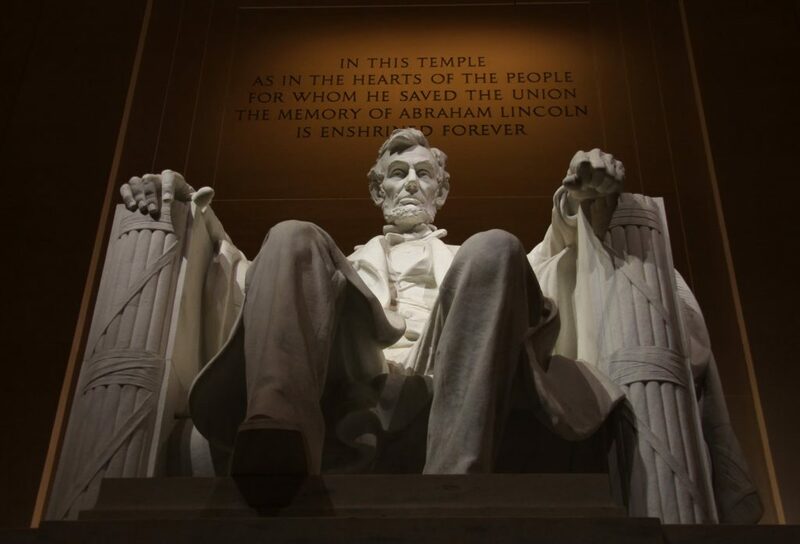 Lincoln’s Memorial has 36 columns and each column represent one states of US at Lincoln’s death. There are speeches written on the wall of Lincoln’s memorial. Lincoln’s building has a pool that represents the memorial. The Memorial of the Lincoln building is covered with over the greenery. It will take 2 hours tour to visit the memorial. Visit early morning or evening to avoid the crowd, Also avoid Saturdays and Sunday for the rush. Take time while visiting the architecture of the statue or programs and get inspired by history. Enjoy the whole view standing at the top of the steps of the memorial. Read and leaLincoln’s speech on the left of the statue the Gettysburg Address. METRO – The nearest metro station is Foggy Bottom and Smithsonian Metro (Blue-Orange-silver). BUS – You can also take the hop-on-hop-off bus facility in Washington Dc. Free parking is available in Ohio Drive, or you can park in the south of the Thomas Jefferson Memorial. There are no charges to visit the memorial. Tip – For the beautiful view and with flashes of lightning you can visit at night. 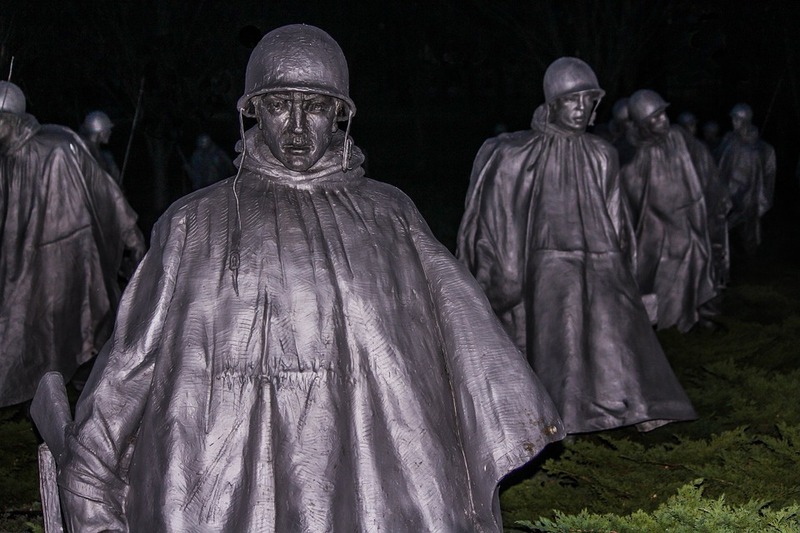 The Statue was dedicated in 1995 to the men and women who sacrificed during the Korean War for three years of conflict. There are 19 silver statues facing towards the flag. The height of the statue is 164 feet high and the thickness is 8 inches. It is counted as the iconic monuments in Washington DC. The memorial is for the Honor of the soldiers who were killed during the war. The shape in which the statues are located in the triangle and located National Mall in the southeast of the Lincoln Memorial. It is very famous and list of monuments in Washington DC. The stainless steel statues are 7 feet tall. You can take photographs in the winter season when the snow covers the soldiers. 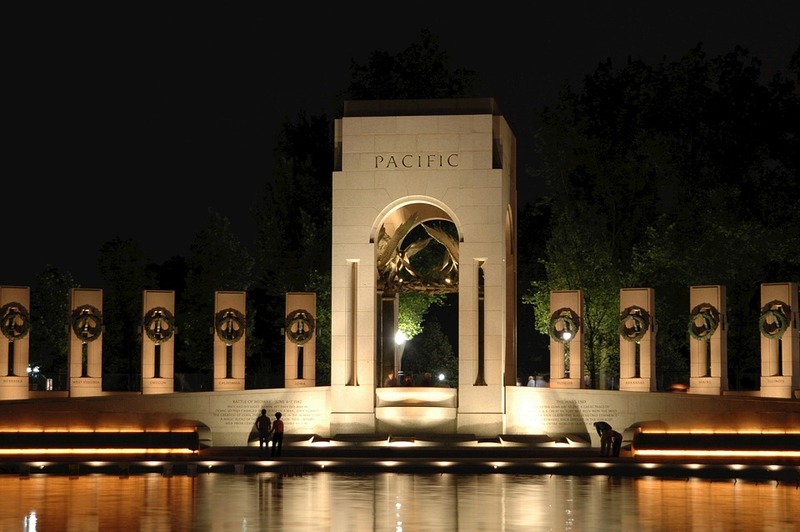 Take a tour at night and visit the statues in the memorial you will feel that they are alive. The wall’s design by Louis Nelson. There is less area parking available. Street parking is restricted. Tip – One can visit this landmark in the morning to avoid the rush. This new monument that represents the world war 2 memorial. The visiting service open for the people on 24 April 2004. It is located in National Mall in Washington DC. This place is famous monuments in Washington DC and most visited by the tourist and local people. It is in the shape of an egg which is 43 feet that represent 15 million men and women of America who sacrificed. You must these monuments in Washington DC. The 56 pillars which represent states, territories and the District of Columbia at world war time. It made of different material water, granite, and bronze. There are around 4000 stars in the wall. You can take a free guided tour to explore history. There are special ceremonies event going on every time for the public. One can enjoy the beautiful view of the fountain in the memorial. Metro – The nearest metro stations are Smithsonian and Federal Triangle stops. Free parking is available in Ohio Drive, south of the Lincoln museum. Tip – The best place to visit this monument is in the evening. It is the tall monument which made in the honor of George Washington which was the first president of the US. It is one of the tallest building and has a great world record. This is the beautiful attraction and the best monuments in Washington. It is 555 feet tall and the iconic monuments in Washington DC. There are performances, rallies, protests in the monuments of Washington DC. You will get a lot of inspiration from these monuments in Washington DC. This was design by Robert Mills in 1848. At the top, there are 896 steps in the monument. The top of the triangle is made up of Aluminum. Visit in the evening to avoid the rush. There is a free parking facility outside the monument but it is limited, so you can also park your vehicles in Ohio Drive, between the Lincoln and Jefferson memorials. These are one of the iconic monuments in Washington DC. 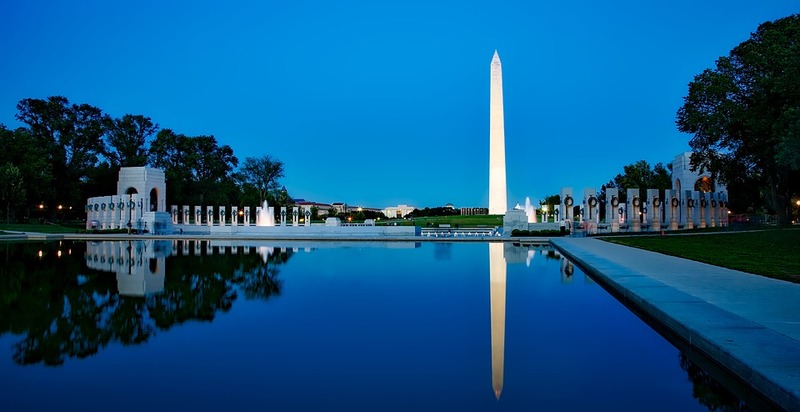 Must visit these monuments in Washington DC which are the landmark of America. You will gather information about the monuments in Washington DC. These are the places or monuments in Washington DC where most of the tourist and local visitors visit. 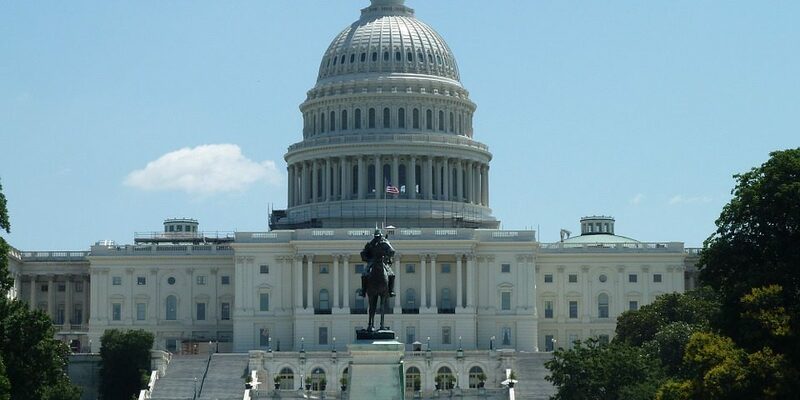 In this article, we have given you brief information about the monuments in Washington DC. Do not forget to share this article.